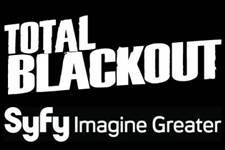 If you're in Los Angeles through this weekend, Syfy is going to feature its first ever consumer live Total Blackout stunt to celebrate the January return of the series! At this live event, you and others will have the opportunity to perform similar challenges to the game show in an impressive blacked out cube. The appearance of "invisible walls" will seamlessly envelope the outside walls and stream the participant's experience, making it appear as if they can peer through the walls. In addition, those who enter the cube will have the chance to become a contestant on an upcoming episode of Total Blackout. Series host and television star Jaleel White will also be on hand throughout the weekend! If you're in the LA-area you might want to check it out and have some fun!